After a 5 month hiatus from whitewater river kayaking, we closed Liquid Fusion Kayaking for a couple of days of "professional development." We were heading north to attend the Traditional Arctic Kayak Symposium (TAKS) in Trinidad and managed to sneak away from the coast for a couple of days to go to the Trinity River. 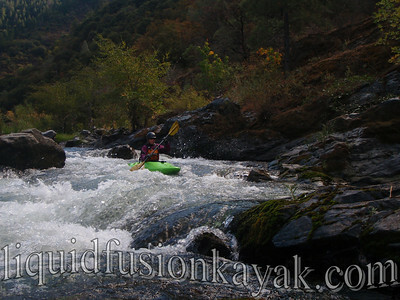 The flow was holding consistently at 575 cfs so we did " The Slot" run which is a Class III run from just below Pigeon Point to Big Flat. This was our first run on the Trinity and we were stoked to have a local paddler share the run with us. 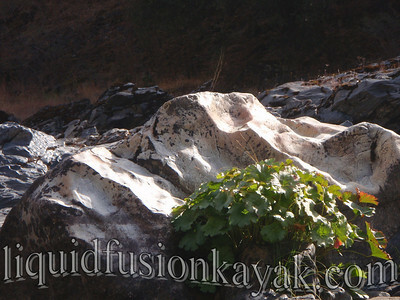 Our whitewater kayaks felt comfortable and seemed happy to be getting onto the water. The water temperature was very cold but the fall air was warm, and we rolled frequently (some of us not necessarily on purpose) to cool off. One of the highlights of the run was seeing a steelhead launch itself up the Hell Hole Rapid. He didn't make it but it was a spectacular display of this mighty fish and his efforts to reach his spawning ground. Too bad we didn't get a photo of it but this is a photo of the rapid that he was trying to go up. We also enjoyed seeing a bald eagle as that is not a regular sighting for us on the Mendocino Coast. The run was just beautiful. 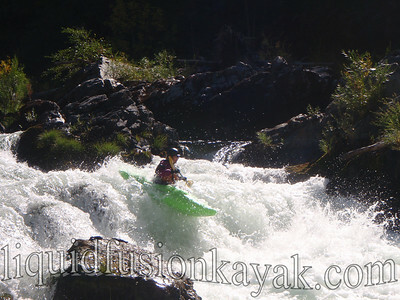 Fall colors, the whitewater rapids, and surrounding scenery made for some beautiful photos and ahhhhhh moments. 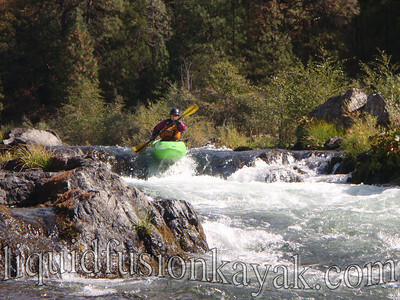 Many ahhhh moments occurred on the river as well as we worked the rust out of our whitewater kayaking skills. I am working on the timing and coordination of my boof stroke. Jeff took most of the photos and videos of the run as we only had one camera with us and he is much more competent at paddling and shooting on the river. Does anyone know the name of this plant? 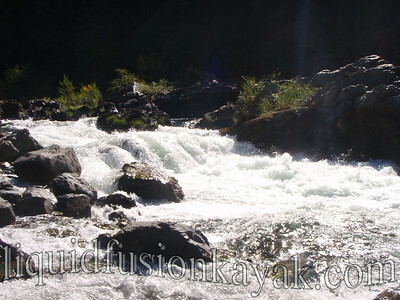 Our time on the river went by much too fast, and we are longing for more whitewater river kayaking. We were delighted to return to home to the Mendocino Coast with rain in the long range forecast. 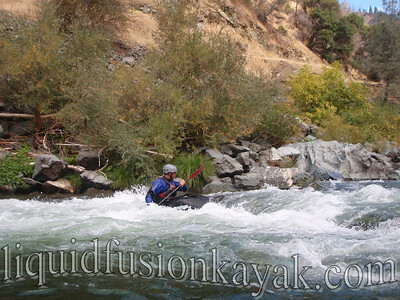 Its been a while since the last time I was up there, but Hell Hole Rapid is definitely one of my favorites. 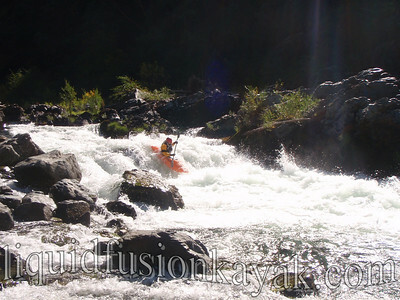 Pigeon Point Run, Trinity River, kayaking trip report, July 29, 2007. 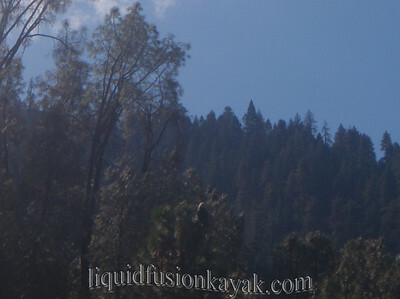 Next time you are up there you should try the playspot just upstream from Pigeon Point. 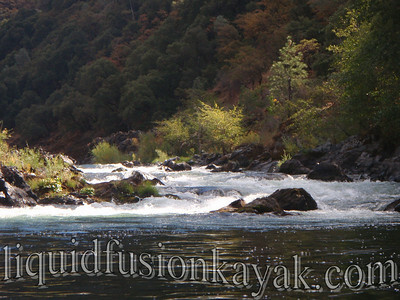 Pigeon Point Rodeo Hole, Trinity River - California Whitewater.